Quality is job 1 at Johnson Hardware. We design and manufacture simple, solid and durable hardware backed by a lifetime guarantee. Johnson Hardware is tested to American National Standards Institute (ANSI) standards. Johnson Hardware exceeds ANSI standards. We perpetually test our hardware to destruction to know its limits. Hardware is tested at or over maximum specified weight. We test competing hardware to keep ahead of industry quality trends. Johnson Hardware has worked hard to earn a reputation for producing high quality hardware. As an industry leader Johnson Hardware products are subject to counterfeit. 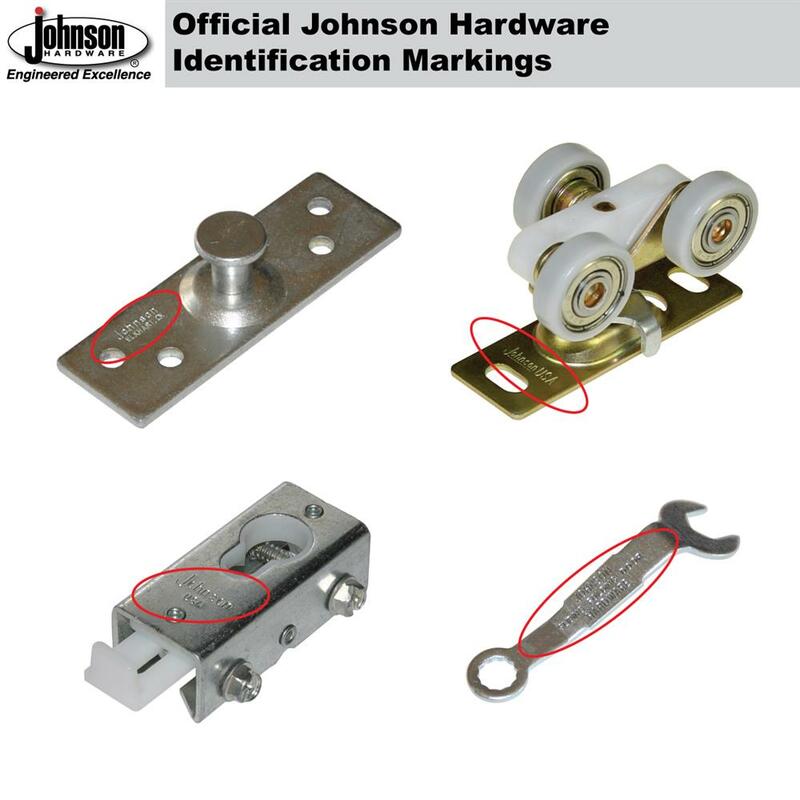 Official Johnson Hardware is identified by locating the embossed "Johnson" stamp located on every part/assembly. If you do not see a "Johnson" stamped on the part then Johnson did not manufacturer the part.